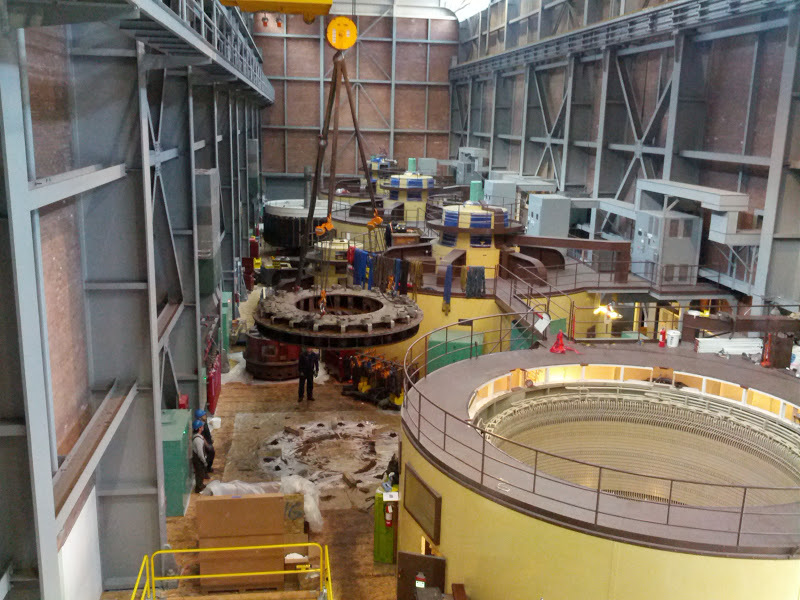 Every 50 years or so, major components of a hydroelectric powerplant have to be overhauled or replaced. 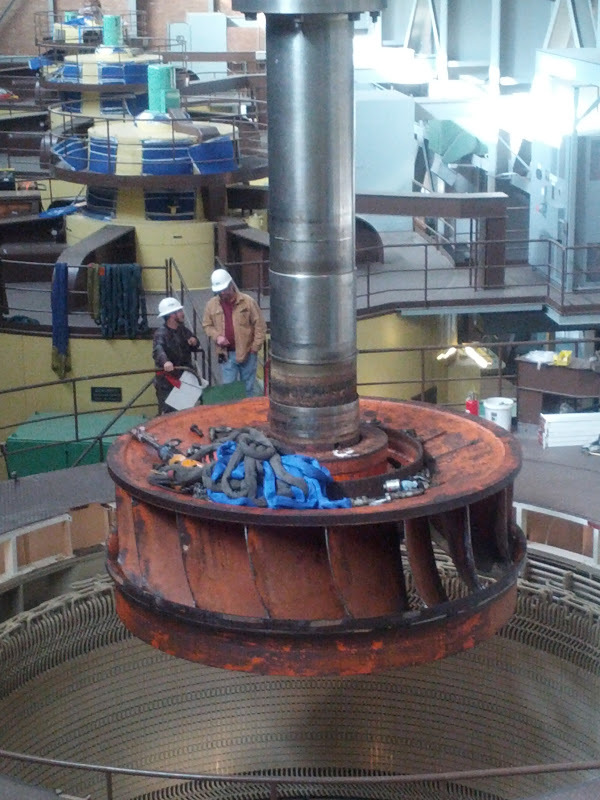 I am currently working at the Palisades Powerplant replacing the turbine on one of the four 44MW generating units. 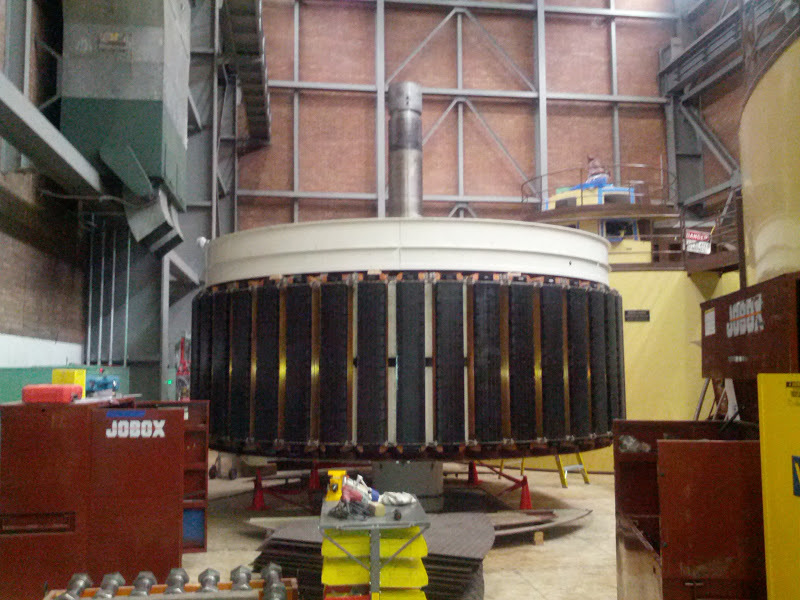 44MW generates enough electricity to meet the average power needs of around 70,000 homes. I am acting as an inspector to oversee the activities of the contractor to insure that they follow the contract and to give engineering support if needed. Not sure how many of you would like to know what a Dam Engineer (like myself) does and how a hydroelectric powerplant works but I thought this would be interesting. Reference the figure below for names of parts. A shot of the head cover being moved around. This part keeps all the water from going into the powerplant. This is the turbine in the turbine pit after the headcover has been removed. 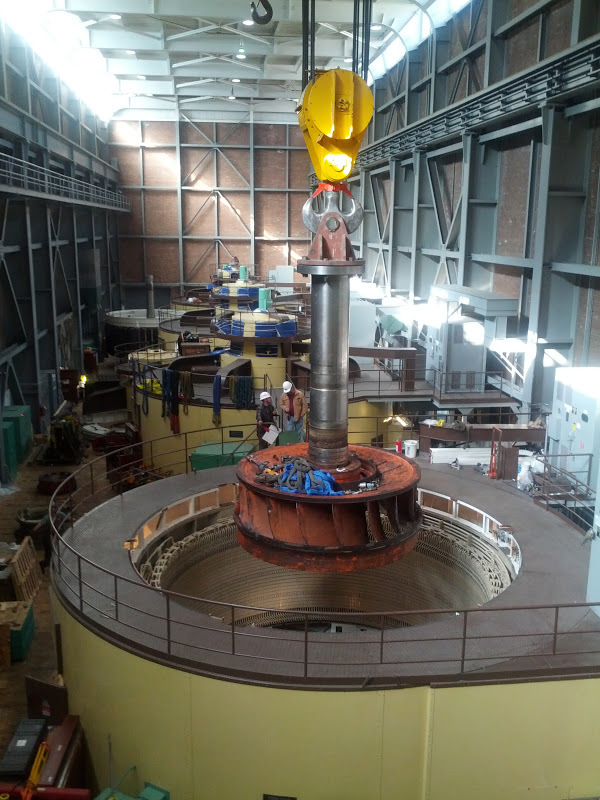 Water turning this turbine produces 39,000 horse power. 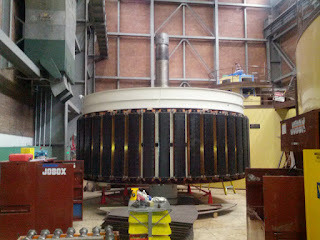 That power is transmited through a shaft up to the generator which makes electricity. 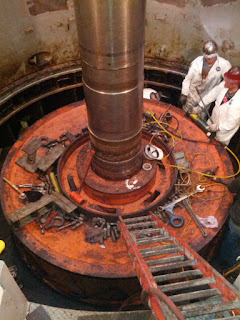 The rotor is removed in order to gain access to the turbine pit. Essentially the rotor and stator is a big alternator. Just like the one in your car. 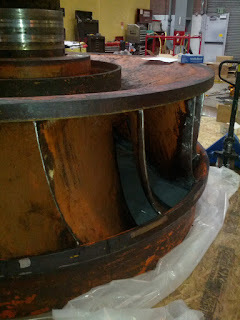 Looking inside the generator housing with the rotor removed. 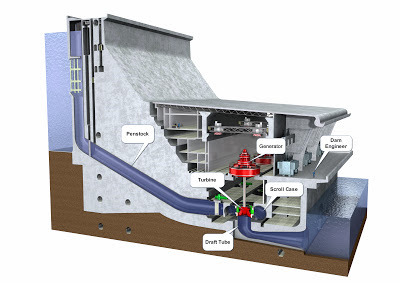 Below is the turbine pit. 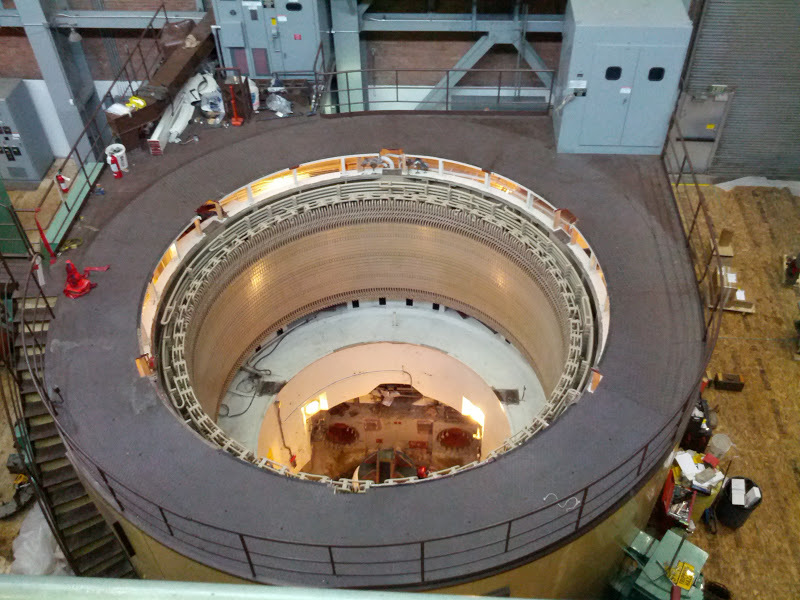 The stator lines the inside of the generator housing. This is one of the other units all put together. 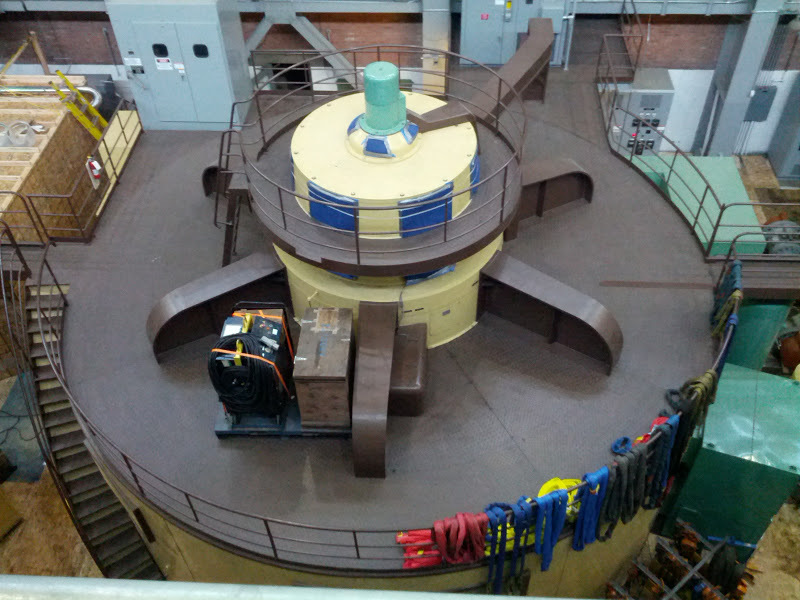 Grand Coulee (the largest hydro plant in north America) has units that produce 800 MW of electricity. 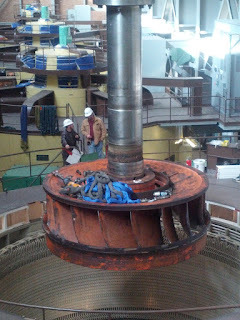 Removing the old turbine runner and shaft. There are diferent types of turbines depending on how high the dam is and how much water can flow down stream. This is a Francis turbine. 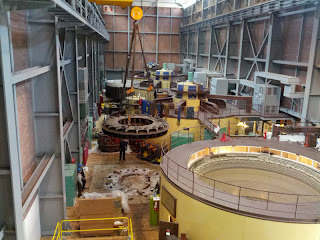 Most Reclamation Powerplants use this type. Close up of the runner. 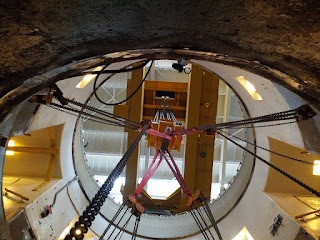 This picture was taken in the Draft Tube looking up through the turbine pit and generator housing. 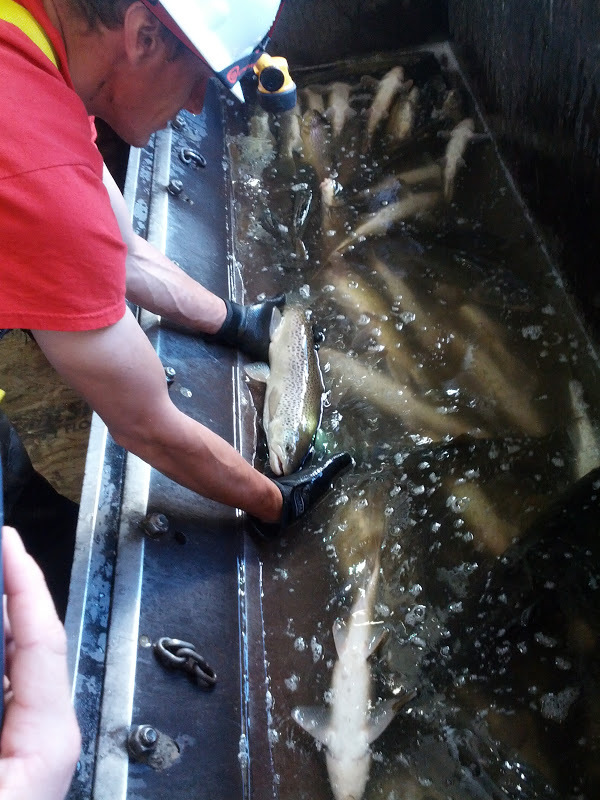 Idaho fish and game came by to get all the fish out of the draft tube. Most of these were suckers, the being held is a brown trout. This is the first of four units that will be worked on over the next four years. Its been an interesting and exciting to be part of this work. I am learning alot and missing everyone at home. Well thats all I have for now. I will update as the week progresses.